Gadget Photography 22 Lytro "Living Pictures" That You Need To See Again & Again & Again! 22 Lytro "Living Pictures" That You Need To See Again & Again & Again! 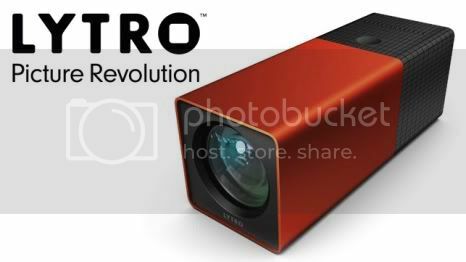 I am sure a lot of you were amazed with the Lytro camera when you read about it in my previous post, right? I will be surprised if you weren't. After all this is something I have never ever thought that such a camera can be a reality. That is why I think that Lytro is way better than DSLR when we talk about "focus". No more worries about out-of-focus pictures.With Lytro, you can always shoot first and and choose what you want to focus later on. That is something that you can't find in any DSLR right? With Lytro camera, all your photos will come alive. Yep! Your Lytro pictures can tell different stories from different point of focus. So once you know what picture you wanna capture, just get up close (and personal) with your subject. Then zoom using your Lytro to capture your subject. In order to make you Lytro pictures livelier, you need to zoom as much as you can until there is a difference in focus on your subject. Simple as that. So go grab a Lytro Camera and start conjuring your very own magic. P.S. : I hope you have a fun time looking at the different stories in the different pictures. :) Enjoy your weekend folks.